Costa Rica has long been a feature on many traveller’s bucket lists. Famed for its towering volcanoes, stunning beaches and dense forests, there is no denying that this relatively small corner of South America is a nature lover's paradise. It’s only recently, however, that Costa Rica has gained fame as a hot-location for adventure tourism, with almost endless opportunities for visitors to combine exploration and culture with adrenaline. 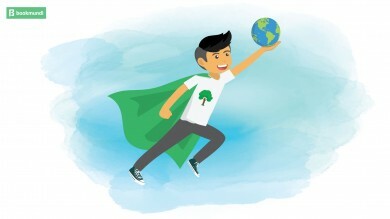 Ever-popular treetop walks through dense forest canopies — often cloaked in mist — present a unique opportunity to tap into this new-found need-for-speed. After all, why hike through the jungle when you can strap yourself into a harness, clip onto a steel cable and go hurtling through the forest? 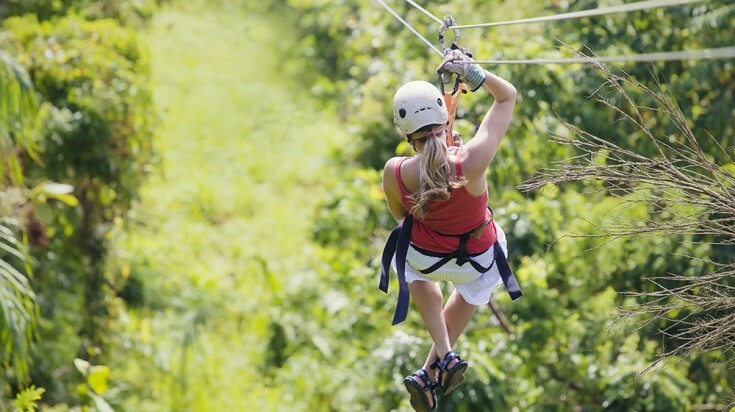 Here are our top picks for where to go ziplining in Costa Rica. 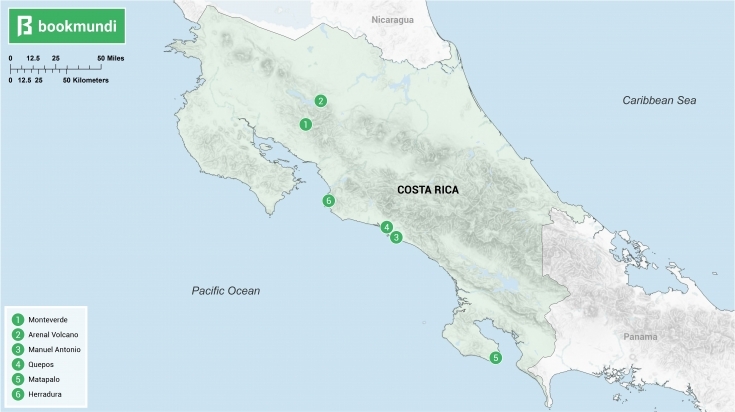 Not sure where to go zip lining in Costa Rica? Let this map guide you. The cloud forests of Monteverde are amongst the most incredible landscapes to be found in Costa Rica. 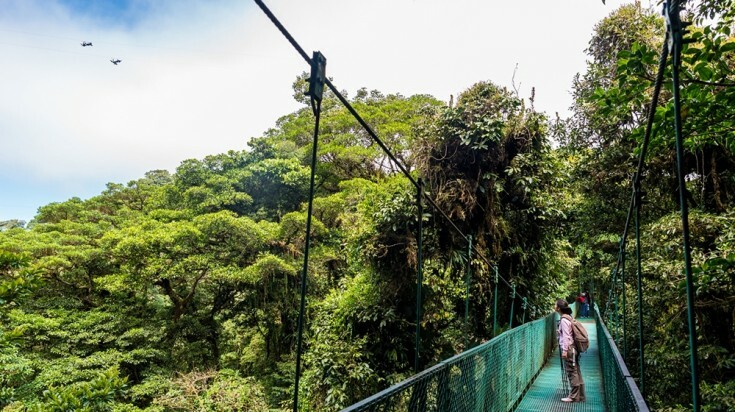 Towering trees and a fantastic range of wildlife including Costa Rica’s national bird, the Quetzal, are enveloped in mystic clouds, and a zip-line adventure in Monteverde is the perfect way to experience this up-close and personal. Sky Adventures Monteverde are one of the most popular providers in the area, whose experiences with a ride on a ‘Skytram’ – think open-air cable car – makes for a great experience in itself. From there, a network of at least 6 or 7 individual ziplines criss-cross the forest, many of which run for over 750 meters and reach speeds of up to 64 kmph. Selvatura Adventure Park is another place you can experience extreme ziplining located inside the Monteverde Cloud Forest. The park provides 15 cables and 18 platforms for ziplining including a 'Tarzan Swing'. The park also provides a canopy tour and has an inhouse hummingbird and butterfly garden, tree-top walkways along with a canoppy tour. This tour is a great way to experience ziplining in Monteverde. Towering high over the Costa Rican landscape, the Arenal volcano has long been considered one of the best places to zipline in Costa Rica. Many people choose to explore this incredible region on foot, while others opt for a white-water rafting trip on the Balsa river. Those in the know, however, strap themselves into a harness and clip onto a zip line for the thrill of ziplining past an active volcano, Because why not? Sky Adventures operates a second site here, offering exquisite views and professional, English-speaking guides. 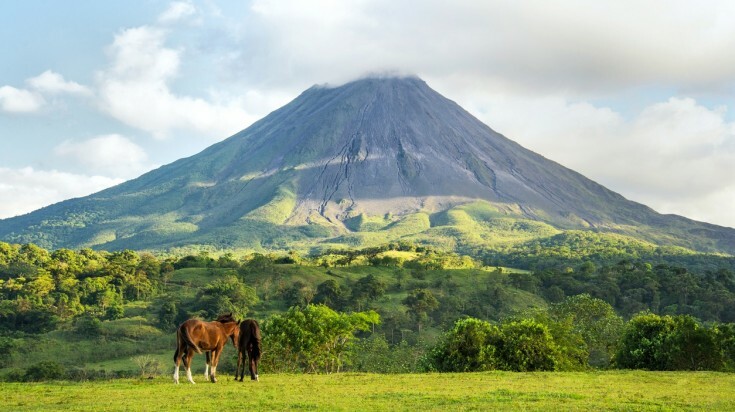 Zipline through the rainforest of Arenal Volcano National Park with a Zipline and Hot Springs tour or take this 5-Day Tour with ziplining included. Ziplining through forests in Manuel Antonio is not to be missed. Small, yet perfectly formed, Manuel Antonio National Park is the jewel in Costa Rica’s crown. Luscious green rainforests, picture-perfect sandy beaches and incredible coral reefs are just a few of the things that draw in the crowds. While there are no ziplines in the national park itself, the El Santuario Canopy Adventure is about as close as you can get, making it arguably the best zip line in Costa Rica. When it comes to aerial cableways, size certainly does matter! Two side-by-side runs of 1310 meters – the longest in Central America – mean you can race your friends to the bottom! Factor in no less than 9 other ziplines and a plethora of hanging bridges, tree platforms and rappels, and your adrenaline glands are in for a treat! Just a stone’s throw from Manuel Antonio, the small town of Quepos is surrounded by some equally incredible jungle, home to wild jaguars and panthers. While sharing much of the beauty and appeal of nearby Manuel Antonio, the jungles around Quepos provide a unique opportunity to get closer-than-ever to nature. Start an adventure packed day in Quepos by taking a Hummer ride through the forest and combine your zipline experience with an additional hike, go rock climbing or canyoning. 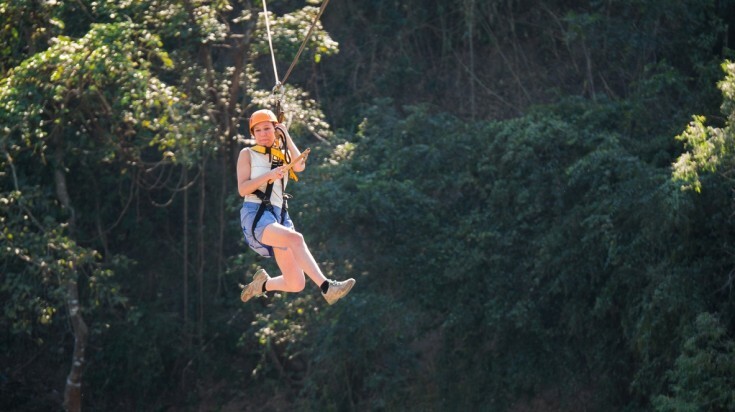 Can you think of anything better than a zip ride through dense forests, past towering waterfalls and over deep canyons? We certainly can’t! Take this 14-day tour in Costa Rica, zipline through the dense jungles of Quepos on Day 4. Found at the far end of the stunning Osa Peninsula, Matapolo is one of Costa Rica’s hidden gems, offering a stunning blend of pristine beach and dense jungle. Adventure tourists are particularly well catered for, as this is one of the only few sites that offer a ‘superman’ experience – perfect for the ultimate Instagram brag-shot! Exactly as the name suggests, rather than dangling beneath the line, at the Diamante Superman canopy Zipline, you’re strapped on in a lying position allowing you to do your very best Clark Kent as you descend towards the turquoise ocean below. The 30-foot freefall experience at the end of the wire is the icing on the cake! 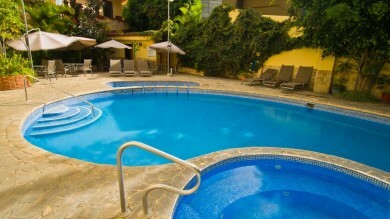 Bolt on other activities such as horseback riding or an ATV trip for an unforgettable day out. Just 4km north of the famous Jaco beach lie the crescent sands of Herradura – an increasingly popular destination amongst visitors. It’s the fine sands and endless Pacific views that bring people here, but it’s some of the highest ziplines in Costa Rica that keep them coming back! The team at Vista Los Suenos pride themselves on operating one of the most exhilarating and safest operations in the country, using three separate cables to attach you to their course of no less than 10 different zips! The experience begins with a short tractor ride to the starting point, before you start your 3.5km adventure across 10 platforms, with stunning views of the Pacific throughout. If that’s still not enough, talk to the experienced, multilingual guides about different ziplining positions. Why settle for a regular zip when you could hurtle through the jungle, say, upside down? Loose, comfortable clothing is a must. Weather can be changeable, so it’s important to check the forecast and dress for all eventualities. Sunscreen and bug spray will be beneficial – this is the jungle, after all! Most zip lines specify a maximum and minimum weight range for safety reasons. Those between 30-130 kg are generally fine, but check with your supplier before booking! Fully enclosed shoes with good grip are best, particularly if you plan on joining other activities, too. Carrying drinking water along is never a bad idea. While many operators include refreshments as part of the package, it’s better to go prepared! Your camera! After all, what’s the point in Superman-ing through the jungle if you can’t brag to your friends afterwards? Ultimately, ziplining in Costa Rica is going to be one of those travel experiences you never forget. 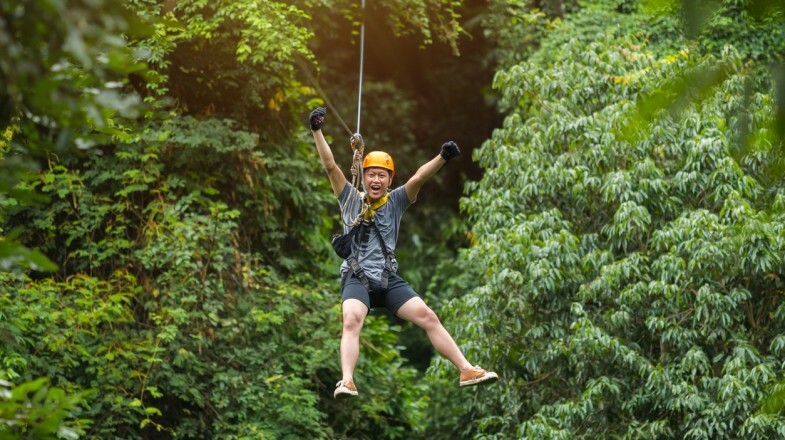 Whether it’s the highest, longest or fastest; upright, upside-down or Superman, there really is nothing like experiencing Costa Rica’s incredible landscape by wire. Better still, the majority of operators put a real emphasis on making their adventures as eco-friendly as possible, so you can zip away safe in the knowledge that you’re bringing no harm to this spectacular landscape. 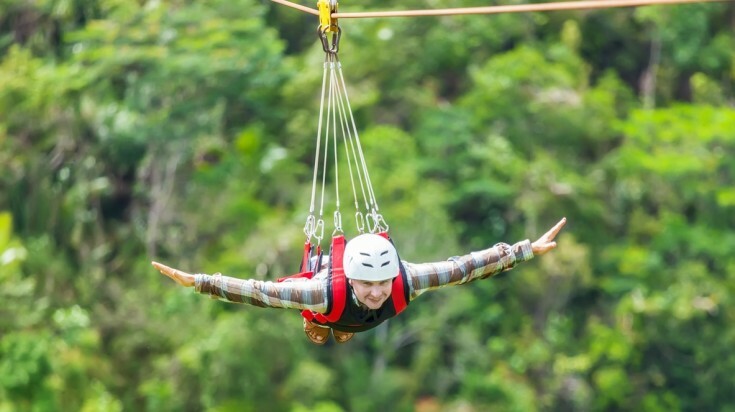 Find out for yourself where’s the best place to zipline in Costa Rica!